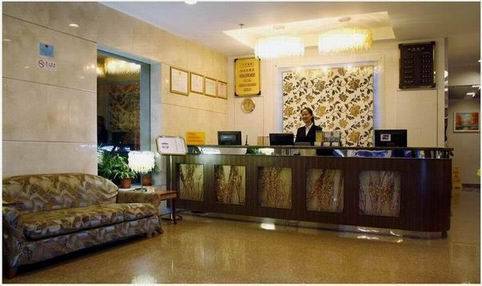 The professional, courteous and friendly hotel staff will be on hand to ensure your stay is as comfortable as possible. Just 1 minute to the most bustling Hutong 'Nanluogu Lane' which is 800-year-old Hutong that was once home to elites, celebrities, government officials, artists and well-off families. A short 8 min walk to Houhai Lake, which during the day is a beautiful walking spot and by night is full of bars where you can have a romantic meal or enjoy live music amid the surrounding ancient architecture. Just 15 minutes walking to the most famous historic places, like Forbidden City , Houhai lake, Drum Tower, North Lake and Jingshan park. 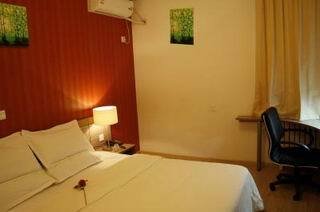 various room types are available---King bed room, Double Room, Superior Room, two-storey suite. 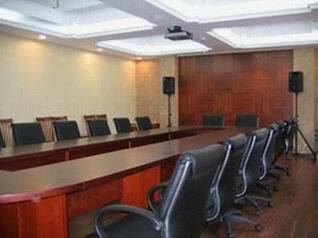 24-hours English-speaking reception, Express Check-in/out, foreign credit cards accepted, free High-Speed Internet access . Just 15 minutes walking to the most famous historic places, like Forbidden City, Drum Tower, Houhai Lake, North Lake and Jingshan park. 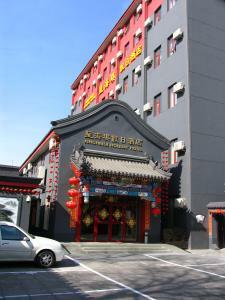 Other places within walking distance are Walking street, TianAnMen Square and Lama Temple. crediat card guarantee are required upon making reservations,but only for guarantee. No fee will be charged prior to arrival. This hotel sits at the city center at No. 89-3 DiAnMen East Avenue Dongcheng District.